DSL have a wealth of experience, knowledge and expertise in the field of Building Services within the Healthcare Sector. DSL have been working with NHS Trusts, private and NHS hospitals, charities and hospices in the South East for many years. Consequently we have an in-depth understanding of the specific requirements of the healthcare sector, and work closely with end users to ensure minimal disruption to the sensitive operations of healthcare facilities. As in other sectors, DSL offer design, installation, servicing and maintenance of all building services in line with HTMs. From major new build and refurbishment projects to planned preventative maintenance and reactive callouts. Air conditioning and ventilation, including environmentally friendly renewable solutions. 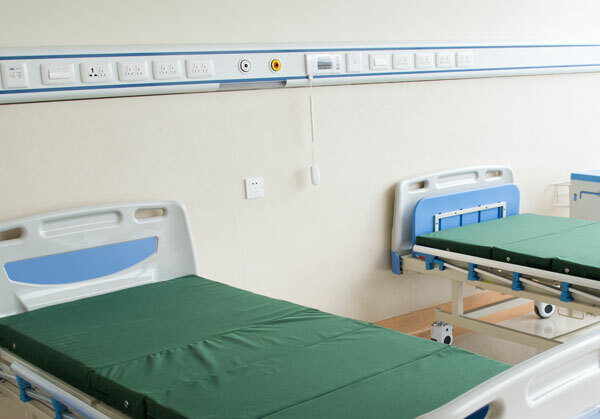 In addition to these regular services, we can also offer the more specialist installation of bed head trunking systems carrying electrical power, data and medical gases where needed in your healthcare facility.